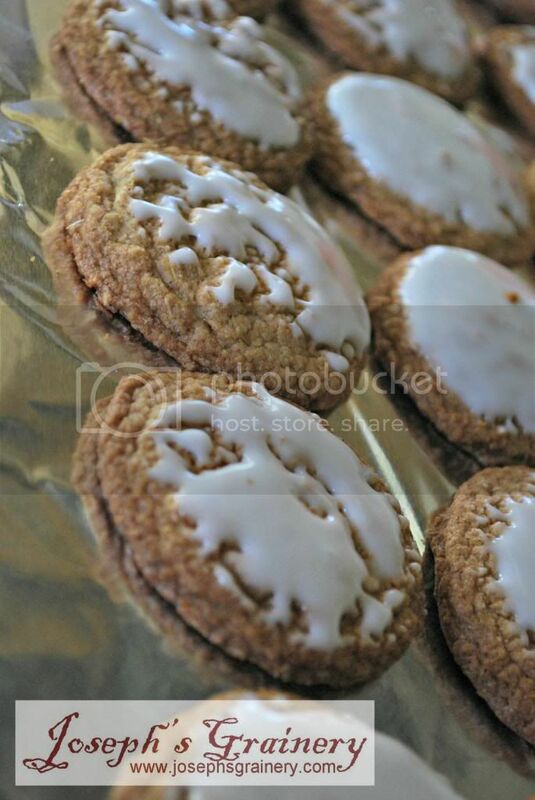 Why not make your favorite Iced Oatmeal Cookies a little healthier? Guess what? MaMa went and did it again. She whole-grain-ified another family favorite of ours! 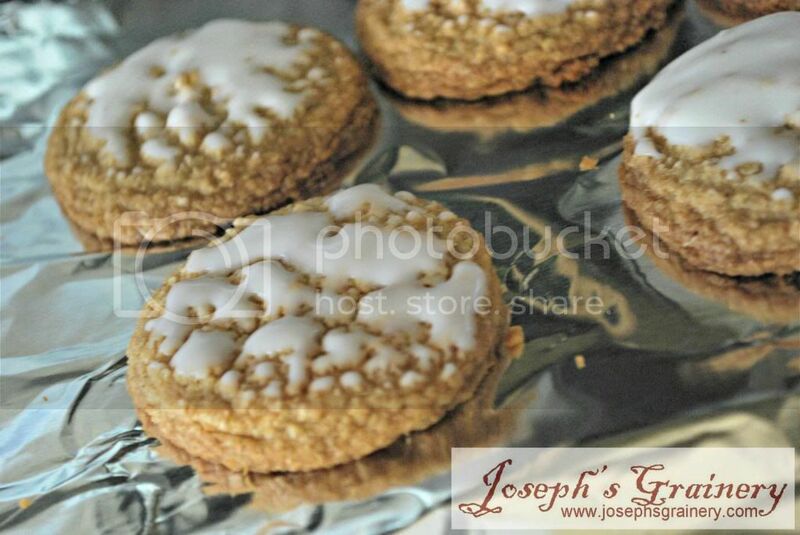 Who doesn't like those Mother's Oatmeal Iced Cookies? This version tastes just as good, but adds some Joseph's Grainery Barley Flour into the mix. Delightfully yummy! recipe inspired by: Is This Really My Life? An even healthier version of the original with another whole grain added in. Preheat oven to 350 degrees and lightly grease cookie sheet. 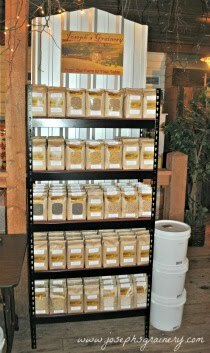 In a food processor or blender, pulse/blend oats until partly ground. Add flour, baking powder, baking soda, cinnamon, nutmeg and salt. Mix until combined. In a large bowl beat melted butter and sugars. Add vanilla and eggs one at a time, beating well after each addition. Add dry ingredients and stir until thoroughly combined. Drop dough by rounded tablespoons onto prepared cookie sheet. Bake 12-14 minutes, until lightly browned. Immediately move the cookies from the cookies sheet to a wire rack to cool completely (if you wait to long, the cookies will break as you try to remove them from the sheet). Once cookies are completely cooled, whisk together powdered sugar and milk until smooth and desired consistency. Frost each cookie and allow glaze to set before storing (We liked dipping the tops of the cookies in the glaze and then flipping them over to set).